? 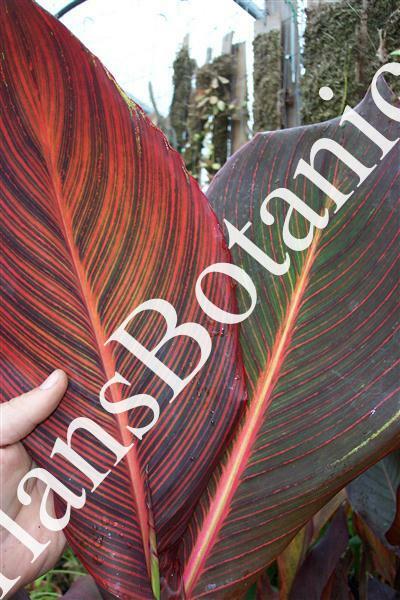 Canna african sunset?is a dark stripped leaf canna with dark maroon foliage and yellow to pink stripes. The flowers are large and orange. Grows to 6 feet tall.